Khloe Kardashian Was Arrested At The Age Of 15 For Stealing A Car. The reality TV star might be on the straight and narrow these days, but she's had several brushes with the law over the years. She was arrested for driving under the influence in 2007 but her troubles began long before that, with the 31-year-old star now opening up about some issues she had during her teenage years. "I got arrested for stealing my mom's car," she confessed during a Q&A with her best friend Malika Haqq, posted on Khloe's website. "And I got pulled over. I was 15, driving my mom's stolen Range Rover, that I stole to go see an older boy, so I got arrested, got put in jail. "They called my mom and I remember my mom when she picked me up she was like, 'I am so ashamed of you, and look at this outfit, what are you wearing.'" 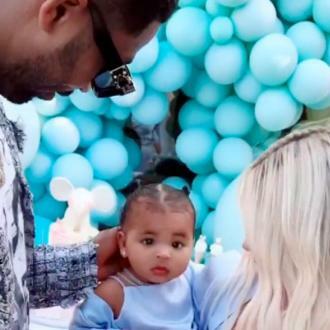 It wasn't the only vehicle-related incident involving Khloe when she was younger - on another occasion she was driving her mother Kris Jenner's car when it caught fire, which caused her some difficulties. She insists she had 'borrowed' the Range Rover so she could impress a date, but when the valet went to pick it up it was alight. "That probably wouldn't classify as a worst date, that was one of your worst months," Malika laughed. "I can't believe we used to steal your parents' cars. First of all what is shocking to me is that we got away with it for so long before they ever knew it was happening." The pair also got a little more serious, discussing who should be the next president of America. While Khloe admitted being a fan of "the Trump hotel" she isn't sure flamboyant businessman Donald Trump, who is hoping to run in the 2016 U.S. Presidential election, is the right choice to run the country.